Heartbeat Love Frame | Welcome to the Esthetique Realm! Summary: Xiao Zhi has just entered her first year of high school, and together with her good friend Xiao Wen, enjoys a happy and fulfilling school life every day. 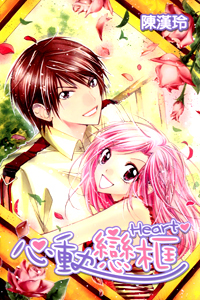 However, behind Xiao Zhi’s radiant smile hides a secret which she finds hard to talk about… Two short works, “Stop Love? !” and “Sweet Sprint GO!”, along with sidestories to Heartbeat Love Frame and Stop Love and other exciting content, have been included!